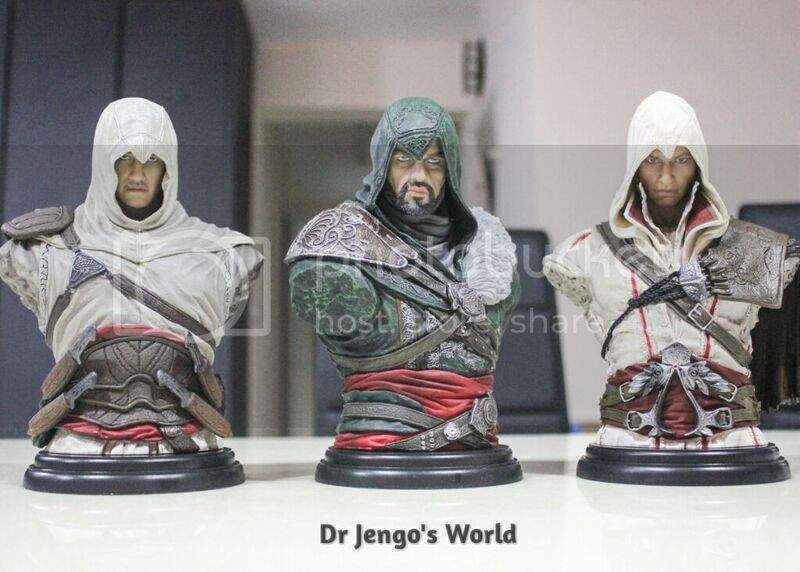 Dr Jengo's World: UbiCollectibles' Assassin's Creed Legacy Collection of Busts: What's Next? 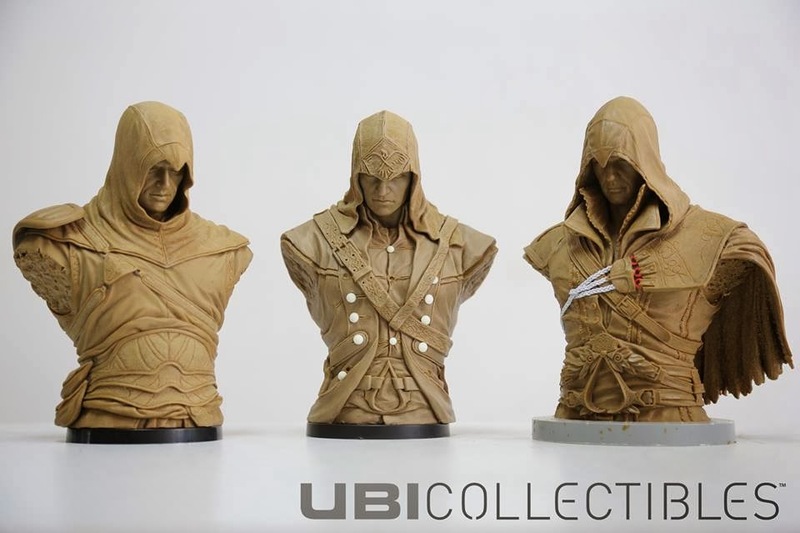 UbiCollectibles' Assassin's Creed Legacy Collection of Busts: What's Next? So, I have gotten my Busts from the Assassin's Creed Legacy Collection. Another product from UbiCollectibles & produced by Pure Arts. All complete in my book.. technically not, but I don't plan on getting the Bronze versions..
Have to say.. I'm very, very happy with them. The details really show on these Busts and the one complaint that collectors usually have about the Assassin's Creed figures has improved tremendously; I'm talking about the Face Sculpts! A lot more realistic looking and life-like if you ask me.. They have turned out really great. Perhaps the larger scale has given them more room to work on the details? Thankfully, the collection isn't done yet. There's definitely plans to do more of these Busts. When the Ezio Mentor & Altair Busts were announced, a teaser image was also posted which revealed more Busts will be added to this line. As shown, there's a placeholder for 4 more Busts. Whether or not, UbiCollectibles will stick with just 4 more Busts or continue adding on more remains to be seen. However, it is clear that we will see more Busts..
One of it was announced not too long ago, with the Assassin's Creed Ezio Collection Collector's Edition. 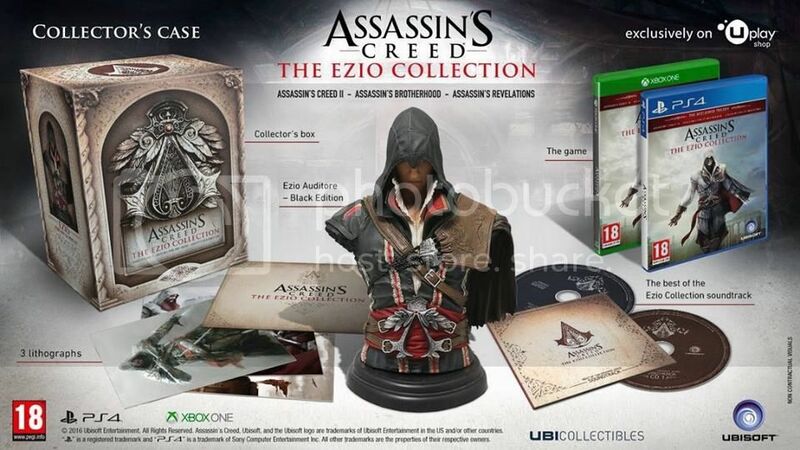 The Black Edition of the Ezio Bust. No news yet if this would be sold separately or if it's exclusive to the CE. Another one could be of Edward Kenway. 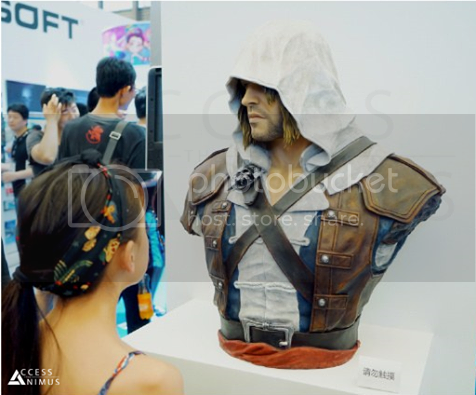 A life-sized Bust was showcased at China Joy 2016 gaming event. I always felt that the Assassin's Creed characters don't warrant a Life-Sized Bust or large scale statues but looking at this makes me think otherwise. However, there doesn't seem to be any plans on releasing this but I would gladly purchase it if it was up for sale! 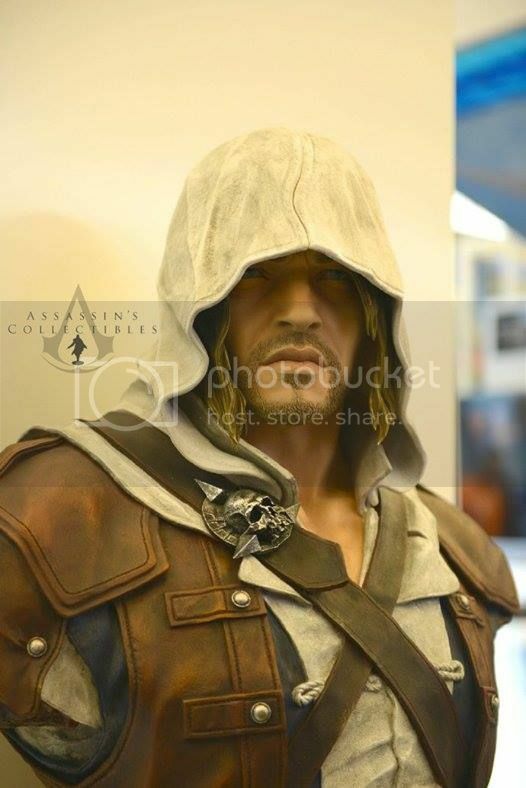 Coming back to the topic.. Like how the Connor Premium Statue was eventually made into a smaller mass-market figure, I have a feeling this Bust would be made into a smaller version for the Legacy Collection. The design fits perfectly with the other Busts and all they need to do, is to add the black base to it. And long before these Busts were even announced, back in Jan 2014, UbiCollectibles teased this project with the image below..
Our dear Connor from Assassin's Creed 3 in the middle.. So, friends.. If you are planning to get into this line, it's time to do so! For those who are already collecting these, what do you think of them and are you excited for what could be the next few Busts to be released?